To answer that question – “Which Wear OS watch should you buy?” – we are going to skip by the conversation over whether or not you should even consider a Wear OS watch at all. I’m assuming that if you got to the point where you want to buy one and are looking for the best Wear OS watch, you are well aware of limitations with the platform and are still ready to move forward, right? OK, let’s dive in then. When buying a smartwatch, your decision should ultimately come down to what you need it to do. Do you need the fitness stuff like GPS and heartrate monitoring? Do you want to be able to make mobile payments? Do you just want it to look nice and do notifications? Do you need it all? I tend to think you should buy a smartwatch that has everything because the last thing you want to do is fork out $200+ for one, skip on a feature, only to realize in a month you wish you had it. Maybe you don’t workout much today and decide to pass on the GPS and heartrate monitor, but come to the conclusion on your birthday in a couple of months that maybe you should get in some shape. And here’s the thing – most smartwatches released today, have it all. The choices you have over watches that have a full-round screen, a classy look, GPS, heartrate, NFC, and easy-swap band support are everywhere. I really don’t think you should buy a watch that doesn’t have the full suite of hardware onboard – you may regret it later. At this point in the life of Wear OS, you don’t have much choice in terms of processor. Google mistakenly attached the world of Wear OS to Qualcomm and that has led to little innovation, slow performance on watches, and uninspiring battery life. It started years ago with a modified phone chip that Qualcomm put in watches, which was followed up by the now-3-year-old-still-used Snapdragon Wear 2100 that has since been semi-upgraded through the recently released Snapdragon Wear 3100. Neither the 2100 or 3100 are great chips because their performance is sorry. In fact, they are basically the same exact chip, it’s just that the 3100 includes an additional low power co-processor that wants to help with battery life. As a fun little side note, I often like to point out that the two watches I consider to have the best overall performance ran chips not made by Qualcomm. The original TAG Heuer Connected (review) ran an Intel chip and was a great wear. The other is the Mobvoi Ticwatch S, which runs a MediaTek chip. It’s a buttery smooth watch that is almost perfect other than the fact that it lacks NFC and mobile payments. Anyways, back to the Qualcomm topic at hand, since your choices really come down to whether or not you want a 2100 watch or a 3100 watch. Which do you go with? Again, there isn’t much of a different between the two, the 3100 simply has an extra co-processor that will one day do things. It’ll one day help with sport tracking and currently allows watches to run in a watch-only mode for days. So the basics are this. If you want to buy a watch that has some future potential for upgrades, a Wear 3100 watch is probably your best choice. However, if you don’t care about a better sport mode or watch-only modes, then a 2100 watch is probably fine. You will get the same performance from both. Unfortunately, as of today, your choices of 3100 watches are limited, while there are numerous 2100 watches. How much should you spend on a Wear OS watch? Wear OS is a funny platform because you can spend $160 on a just-released watch that does almost everything or you can spend $2,500 for a brand name. Spending more than $300 on Wear OS is pretty foolish, unless you’ve got all the cash and price isn’t something you worry about. 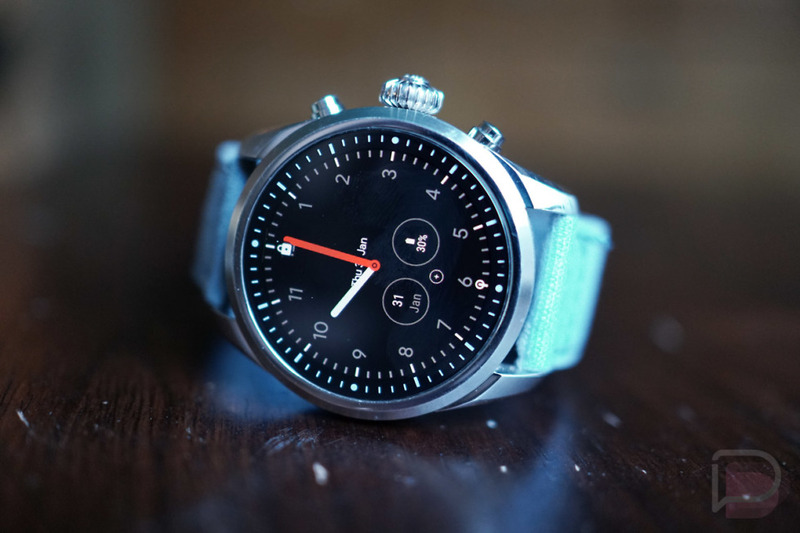 For example, if we all had $1,000 to spend on a Wear OS watch, I’d tell everyone to buy the Montblanc Summit 2 (review). It runs the 3100, has all the features you could ask for in a smartwatch, performs well, and looks absolutely amazing on wrist. But it’s $1,000. You shouldn’t buy it. 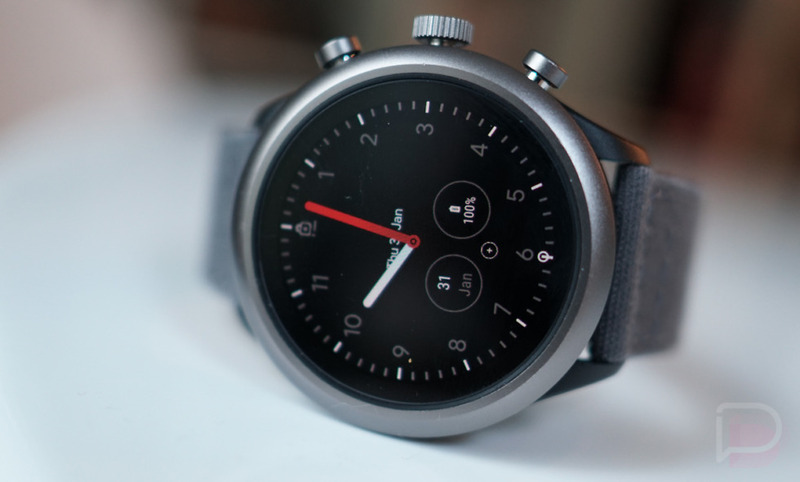 There is a nice pocket in Wear OS that runs from $200 to $300 and you might as well stay within it. You can get everything you need for that price. If you drop below $200, you’ll find that companies start to cut features, like NFC. I think there are two choices for most people to consider today: Fossil Sport (review) and Mobvoi TicWatch C2. Both watches are new and both watches have all the features. The difference here is that the Fossil Sport runs the Wear 3100 chip and the TicWatch C2 runs the Wear 2100. 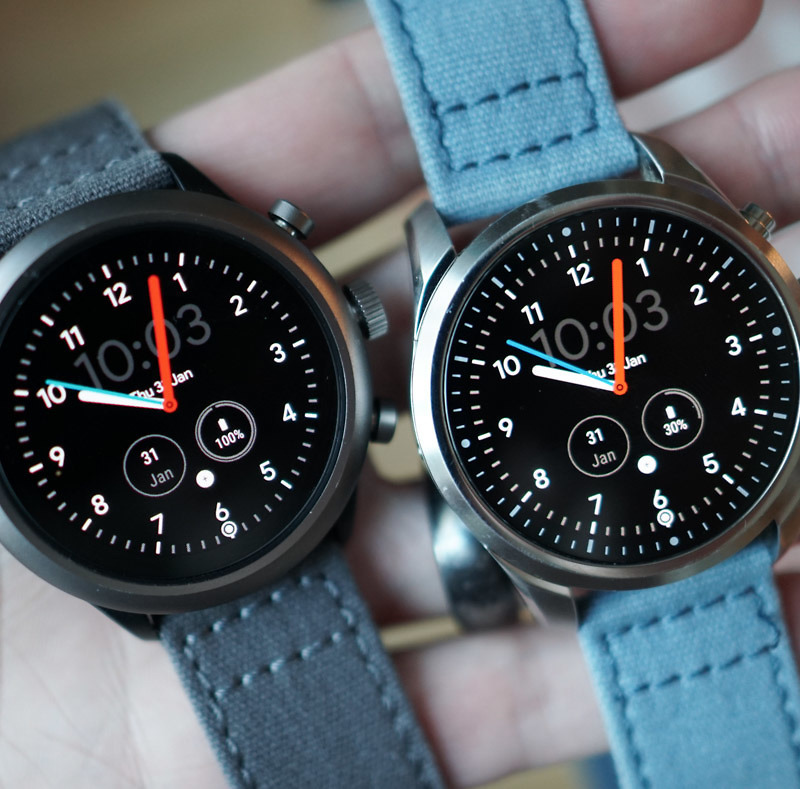 The Fossil Sport costs $255 because of that, while the C2 starts at $200. Both of these watches have classic, round displays, 43mm cases, NFC, heartrate monitors, GPS, water resistance, and easy-swap bands. The C2 has a nicer metal case, but the Fossil Sport actually comes in an additional 41mm option for smaller wrists. Deciding between the two comes down to whether or not you want the newer Wear 3100 and the cheaper plastic case or the older 2100 and the nicer case. I’d probably lean Fossil Sport, because it may do a bit more down the road, thanks to the 3100. You also get an extra set of color choices. Fossil has been really great about updating their watches too. You can’t go wrong with the C2 either, though.